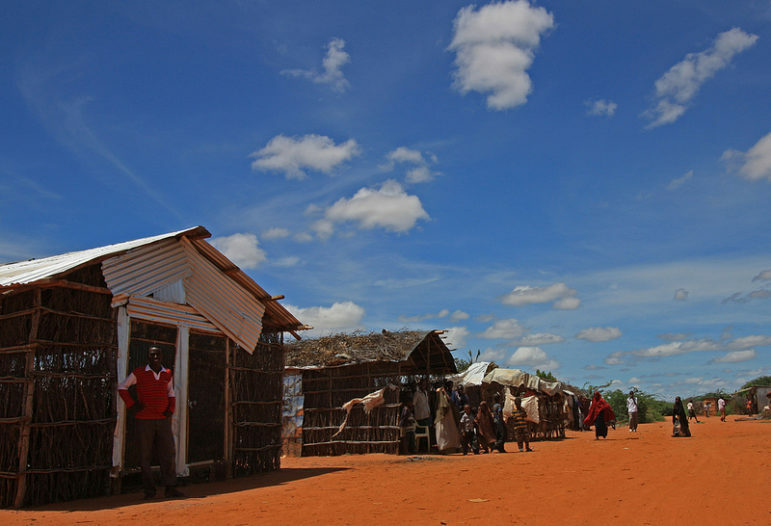 In May, NPQ reported on the Kenyan government’s decision to close the Kakuma and Dadaab refugee camps. Managed by the Office of the United Nations High Commissioner for Refugees (UNHCR), the Dadaab Refugee Complex is the largest refugee camp in the world and home to over 340,000 refugees, 95 percent of whom are from Somalia. Covering an area of 50 kilometers, Dadaab was originally a group of three camps established in 1991 to house 90,000 people, mostly Somalis fleeing civil war. The camp’s enormous population makes it the third largest “city” in Kenya, after Nairobi and Mombasa. Kenya’s decision to close the camp was met with grave concern by numerous international humanitarian organizations, who, in a joint statement, urged the Kenyan government to reconsider its decision, while acknowledging its contributions over the years: “Non-Governmental Organizations (NGOs) providing assistance to refugees in Kenya acknowledge the hospitality and responsibility that the Government of Kenya has borne over decades.” Currently, Kenya hosts approximately 600,000 refugees, mostly from Somalia, South Sudan, and Burundi. Dadaab’s closing is yet another example of the huge challenges facing refugees and host countries worldwide. In a report released on June 20, UNHCR stated that over 65 million people in the world are currently refugees or internally displaced persons (IDPs)—more than the entire population of the United Kingdom and surpassing even the number of people displaced by World War II. The Kenyan government has assured Western governments, UNHCR, and international NGOs that repatriation to Somalia would be “voluntary, safe and dignified,” but is nonetheless facing widespread criticism over the closing of Dadaab, as the international community worries that sending Somali refugees home would both endanger their lives and empower al-Shabaab and other terrorist groups. Before his departure in 2015, Somalia’s top UN official at the time, Nicholas Kay, declared the nation a “recovering fragile country” rather than a “failed state.” However, after decades of civil war, famine, collapsed government, and now, widespread Islamic terrorism and insurgencies, Somalia will take years to rebuild. Sending these refugees back to their still violent and unstable homeland is without a doubt fraught with risk and danger. Should the international community condemn the Kenyan government for choosing security over their international obligations? Is this a case of scapegoating refugees, a legitimate national security concern, a holdover from the fact that next year Kenya holds national elections—or some combination of all three? The problem is that U.S. and European governments pressure poor countries to take in refugees when they themselves are unwilling to do the same. An Oxfam report published this week states that the “six wealthiest nations host less than nine percent of the world’s refugees while poorer countries shoulder most of the responsibility.” This echoes the UNHCR report, which notes, “Developing regions hosted 86 percent of the world’s refugees under UNHCR’s mandate,” the highest figure in more than two decades. One of the world’s six richest countries, Germany is the host of 736,000 refugees. Kenya, as noted above, is currently hosting 600,000. According to the UN’s 2014 figures, Germany had the fourth largest GDP of all countries in the world; Kenya was 73rd. In January of this year, NPQ reported that the Danish parliament was trying to make Denmark as unattractive as possible to refugees by passing a bill that allowed for the seizure of refugees’ assets upon their arrival in the country. For the international community to criticize Kenya for closing Dadaab 25 years after it was opened is an example of the hypocrisy and inequity that colors even the question of who bears the responsibility for taking care of the world’s most vulnerable populations. Kenya appreciates the national security interests that are informing how other countries are dealing with the challenge of refugee inflows. We are also seeking to anchor our humanitarian character, which is recognized all over the world, in considerations that put the security of our country first. We will not be the first to do so; this is the standard practice worldwide. For example in Europe, rich, prosperous, and democratic countries are turning away refugees from Syria, one of the worst war zones since World War Two. Kenya calls its refugee camps a security threat, but what will happen to security if half a million refugees are displaced again?